(NaturalNews) The scripted media is being used to scare and divide the public over new measles outbreaks. It's always the same unintelligent narrative being pushed: The unvaccinated are putting everyone in danger. Obviously, the push to sell more vaccines is on as fear is used to prey on the population. Contrary to popular scare tactics, measles is not making a comeback. It is mostly a benign childhood illness, and the unvaccinated are not the ones to worry about. This advice comes from a well-learned pediatrician practicing in Santa Monica, California -- Dr. Jay Gordon. It's obvious that the media is so scripted to the vaccine agenda because no one is educating the public on nutrition's role in creating healthy immune systems in children. A healthy immune system, with a strong arsenal of commensal bacteria species, can effectively ward off pathogens, encouraging rapid reproduction of antibodies. A healthy immune system, absorbing vitamins C and A, circulating with vitamin D is a fortress ready to overcome any pathogenic bacteria or virus. Still, we are told that we are deficient in vaccines. The public becomes dependent on this philosophy of immunity, neglecting their inherent, intelligent immune system. With a better understanding of children's immune system health, a pediatrician practicing in Santa Monica, California, isn't too worried about the scare of measles. In fact, half the parents who come to see Dr. Jay Gordon either decide to delay vaccinating their children or choose not to vaccinate them in full, according to the CDC's up-to-date recommendations. Some of his clients do not vaccinate their children at all, opting instead to work with the child's natural immune system. Dr. Jay Gordon supports parents' personal decisions and says that measles poses no risk to healthy children anyway. In a recent interview, Dr. Gordon was told that 90 percent of the unvaccinated children coming from his office were at risk of catching the measles if someone with the measles came into contact with them. While this is possible, Dr. Gordon replied, "You just said it, they'd get measles. Not meningitis, not the plague, not Ebola, they'd get measles. 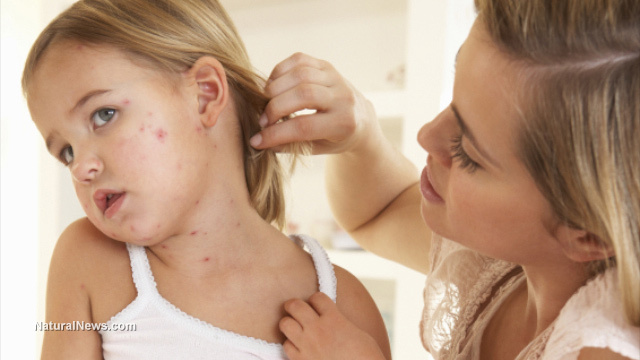 Measles is almost an always a benign childhood illness." "This measles outbreak does not pose a great risk to a healthy child," said Dr. Gordon. "And quite frankly I don't think it poses any risk to a healthy child." Dr. Gordon now signs hundreds of "personal belief exemptions," reassuring parents that they are not breaking any forced vaccination laws. In the interview, Dr. Gordon was also asked why these anti-vaccine parents have the right to bring back a disease that had largely been eradicated from the population. Dr. Gordon then set the record straight: "Individual parents making that decision are not the ones bringing back measles. Measles isn't coming back. We have 70 cases of measles right now, and we have 30 million Californians." Dr. Gordon understands common sense -- that viruses don't originate from a child's healthy immune system. Those who don't get the measles vaccine aren't putting the general population at any greater risk. The vaccinated shouldn't even have to worry about the unvaccinated anyway. If vaccine-induced immunology is so effective, what do the vaccinated have to worry about? They are worried because they know deep down that vaccine-induced immunity wears off. Why are people recommended to get multiple shots of the same virus? No one, vaccinated or un-vaccinated, should be blamed for the spread of viruses, unless the vaccine insert and the FDA warn that the actual vaccine may cause the virus to shed, putting the population at risk for days or weeks following vaccination. That's right, some vaccines, like this live rotavirus vaccine, can shed viruses several days after vaccination, making them capable of infecting the most vulnerable in society. Yes, it's the vaccinated who put the population at risk! Should they be quarantined and jailed for putting others in harm's way? The FDA warns about the ROTARIX vaccine here: "One clinical trial demonstrated that vaccinees transmit vaccine virus to healthy seronegative contacts. The potential for transmission of vaccine virus following vaccination should be weighed against the possibility of acquiring and transmitting natural rotavirus. Caution is advised when considering whether to administer ROTARIX to individuals with immunodeficient close contacts, such as individuals with malignancies, primary immunodeficiency or receiving immunosuppressive therapy."